German Christof Wandratsch, born in 1966, is an extreme swimmer and international long-distance star. Amongst other things, he was the first to cross Lake Boden, Germany’s largest lake. Swimming the 64 kilometres took him 20 hours. In 2007 he crossed the English Channel faster than anyone else at just over seven hours, the same year he also broke the Gibraltar Strait world record and in 2016 he broke his own record for 1000 m winter swimming. Well, you get the picture. He has swum all over the world, more than anything else he likes long, and in recent years also cold, swims. First, let’s have a look at winter swimming and cold bathing. 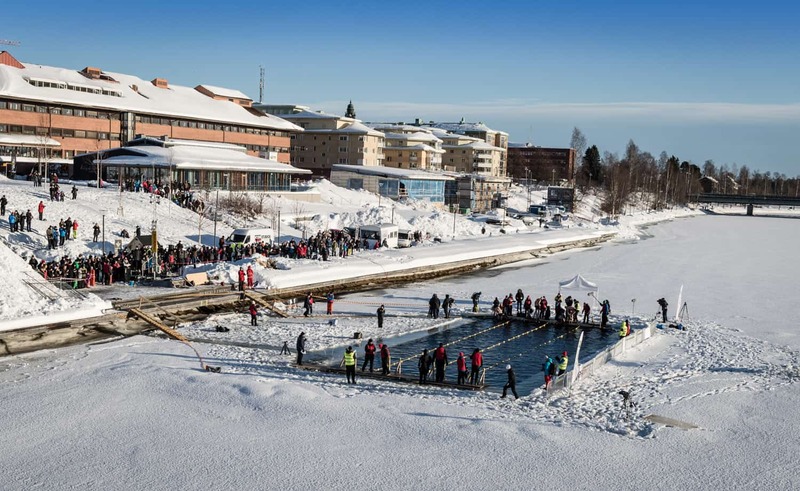 It takes on average 20 seconds to swim 25 metres in an opening in the ice in central Skellefteå. Winter swimming is supposed to be good for your general health and a true boost to your confidence. 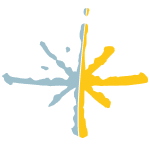 We know this because competitive winter swimming events, in water temperatures just above freezing, have been held here since 2012. 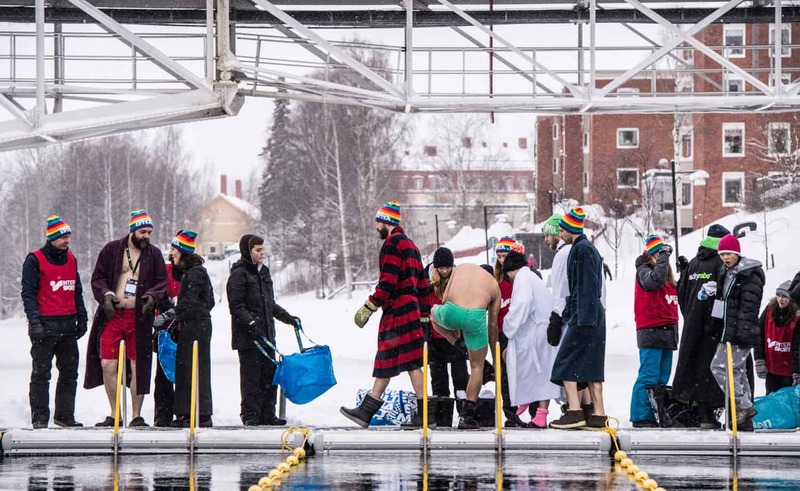 The organisers, Dark and Cold have caught the eyes of the world and established winter swimming in Skellefteå as a natural part of winter in Swedish Lapland. 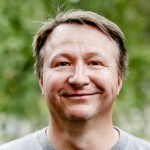 “We had an idea to do something to celebrate winter”, says Jarkko Enquist, one of the people behind the events. “Something spectacular that attracted attention to our place on this earth.” And that’s what happened. Rooted in unconditional love for the cold and dark. 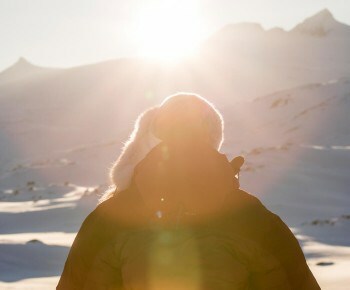 There is also research to support the idea that an occasional winter swim is good for the body. British athletes such as tennis player Andy Murray, heptathlete Jessica Ennis-Hill, runners Paula Radcliff and Mo Farah all go for an ice bath after tough events to recover more quickly. Ice bathing seems to have an anti-inflammatory effect. Australia’s cricket captain said: “We used to put the beer on ice, now we do it with the athletes.” However, research has also shown that if you are trying to build more muscle, the anti-inflammatory effects of the ice bath may be counterproductive. Its benefits have been known to Shinto priests and regular northerners for hundreds of years though. A hot sauna and then out into the snow. 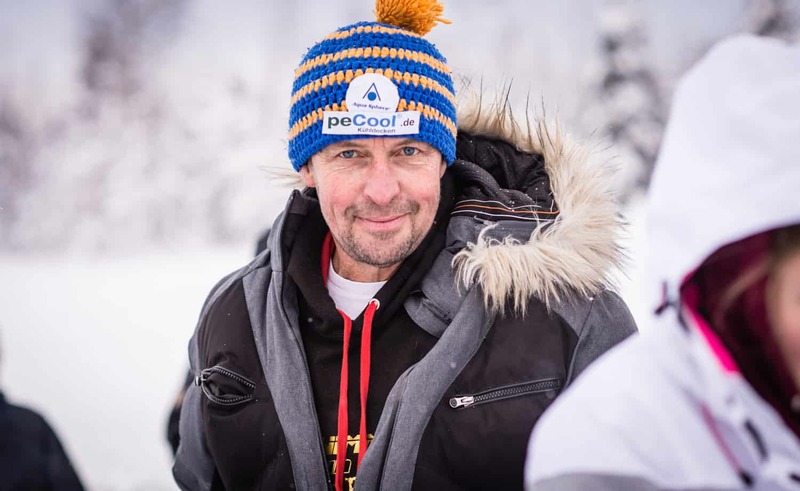 Christof Wandratsch’s reason for being here right now is, of course, winter swimming and the world cup event held in Skellefteå. 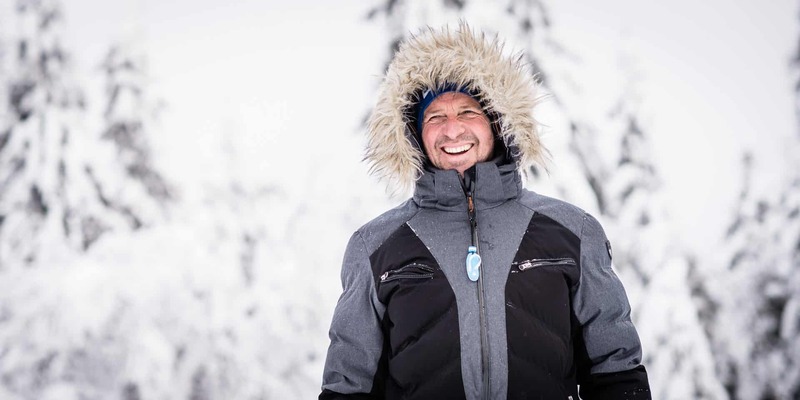 “After crossing Lake Boden in 2013 I was looking for a new challenge. 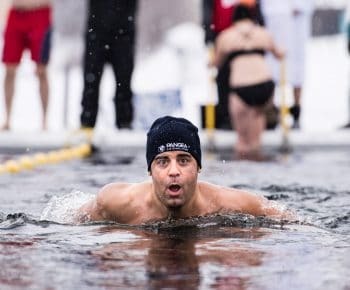 I quickly fell in love with winter swimming and the following year I participated in a championship for the first time.” That was the World Championship in Rovaniemi, Finland. Christof competed in the 450-metre race and, of course, he won. He has competed many times in Skellefteå. Last time around he competed in all distances. Six of them. “The competitions in Skellefteå are always good”, he says, explaining that everything went well Tt time too. Even though he sports a humble attitude Christof clearly finds great joy in competing – and not least in winning. “Yes, I won all six events”, he says with a wide grin. 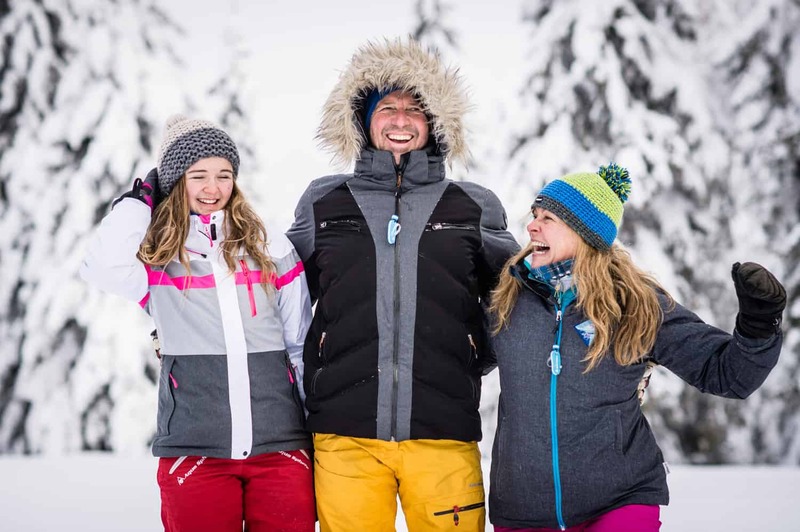 Christof travels and competes together with his daughter Stella Krutenat and German long-distance swimmer Birgit Becher. 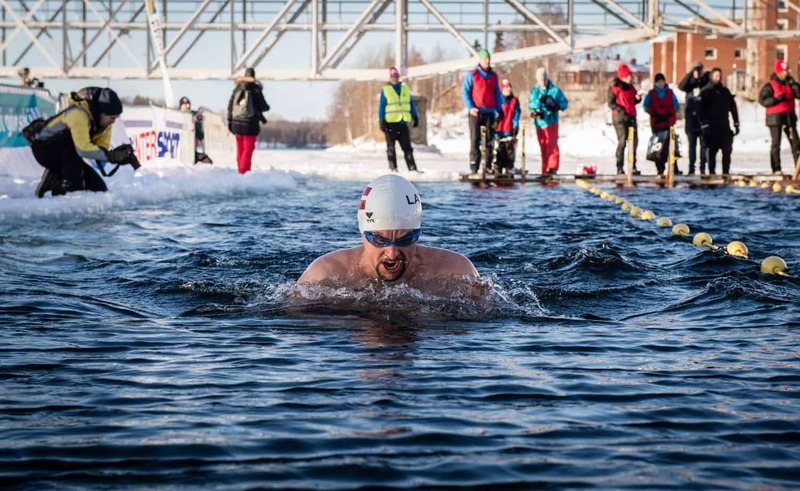 The Scandinavian Winter Swimming Championship is taking place in the middle of February, in Skellefteå, Swedish Lapland. 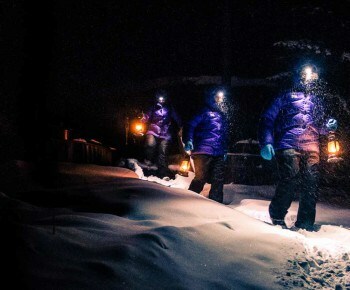 Go to darkandcold.com, to learn more about the competition. Christof shares his preparation tips for a season of winter swimming. “Start in the autumn, short dips at first. Then go for longer and longer swims as the temperature drops further. Other than that, you don’t need a lot. It is of course very exerting, physically, but a lot of it is in your head. Swimwear, swimming goggles and a swimming cap is about all you need. Maybe a bathrobe too.